Traditional Thanksgiving Recipes. Thanksgiving Traditions and Tips you’ll be truly thankful for. 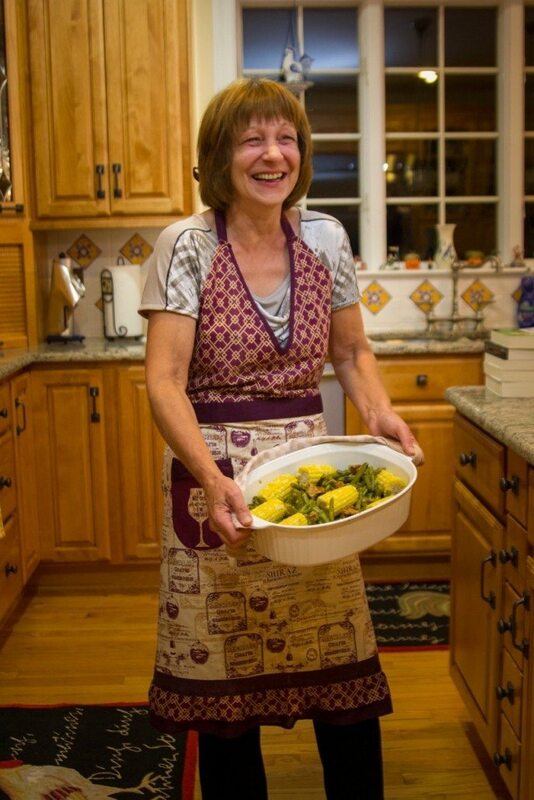 When I arrived in America, twenty-nine years ago, I didn’t know much about Thanksgiving or a meal prepared with traditional Thanksgiving recipes. Long before the days of Google, I looked up the translation of Thanksgiving the old fashion way, and understood it as a “thank you” but didn’t really know much about who gave and who received. I found a comparison to Erntedankfest—a religious harvest celebration in Germany which takes place in October. Throughout the years, I’ve learned that this special American holiday dates back to 1620 when the Pilgrims from England arrived on the Mayflower and landed on Plymouth Rock—about 40 miles away from Boston, Massachusetts. They met the Wampanoag Indians, and with their help, learned to survive their first cold Winter. A year later, in 1621, the success of the harvest led to a three-day festivity called Thanksgiving, which they celebrated together. Two hundred years later, during the Civil War, Abraham Lincoln declared Thanksgiving a national holiday in 1863. So, the fourth Thursday in November it is! Lincoln also made the “Big Bird” the main meal for Thanksgiving. And today, the turkey tradition continues all across this great country. Every year, I cherish Thanksgiving and honor the tradition and true meaning of this very special holiday. It’s really about family and friends coming together to share a meal prepared with traditional Thanksgiving recipes—and appreciating all that they have in their lives. Although it’s not a religious holiday, people are thankful in their prayers, in their words, and in their actions, for the food (the harvest) for which they are about to share. In the end, it doesn’t matter the time or day, what heritage or what culture, all that matters is that we live in the moment—conscious and thankful of our good fortune—surrounded by those we love. Scroll down to the traditional Thanksgiving recipes. Your Thanksgiving planning. It starts now. If you’re hosting Thanksgiving this year, you know there’s a lot to do. The more you can prepare ahead of time, the more time you have to enjoy with your family. So, on that note, here are some time-saving tips that are sure to pay dividends when loved ones start filing up around your kitchen. 1. Figure how many guest you will have. 2. Write down which traditional Thanksgiving recipes you want to try and write down the ingredients you’ll need. 3. Make a list and go shopping. 4. Start baking/cooking what can easily be stored ahead of time. Think freezer, refrigerator, and even tin boxes. Some recipes can be completed and stored. Others can be started and brought out at the last minute for quick touch up before serving. Having made all my recommendations for the traditional Thanksgiving recipes, I know some are more time consuming and labor intensive than others. Nevertheless, they’re all worth it. Especially when your guests ask for seconds. And you have these secrets up your sleeve. Green beans with Mushrooms and corn | Complete and freeze. Microwave when ready. Butternut Squash Soup | Freezes nicely. Just add fresh whipped cream and home-made croutons before serving. Pickled Sweet & Sour Butternut Squash | Complete ahead of time and refrigerate. The marinade makes it taste even better with time. Cinnamon Pears Topped with Cranberry Sauce | Refrigerate pears with the water you cooked them in. The cranberry sauce can be kept covered and refrigerated. Or, in a pinch, use canned fruit and prepare on Thanksgiving day. Thanksgiving Cupcakes | Prepare. Decorate. And freeze. When ready, thaw and serve. Danube Waves Cake | Freezes and thaws just fine. Just add the final decorations before presentation. Fruit-Filled Shortbread Cookies | Stores well in a tin box. However, this is a great recipe to make with children. Have them assist you while you share the story of the pilgrims and Indians. Make it a great memory and a yearly tradition. Turkey Stuffing | If you wish to add turkey liver to your recipe, you won’t be able to get to it until your frozen turkey is thawed. Try store-bought chicken liver and make your stuffing ahead of time and freeze. If you take advantage of these recommendations, you’ll be way ahead of schedule. All that’s left to do on Thanksgiving is make the sweet potatoes, fix the turkey, and set the table with the good stuff—your fine china and silver. And don’t be afraid to delegate responsibilities. In my house, my daughter-in-law cleans the silver and prepares the sweet potatoes, and my oldest son is in charge of the bird. All the other work is divided amongst the family. And as far as I’m concerned, my work is done. With smart planning, I get to enjoy more time with my grandchildren. And for that I’m thankful. 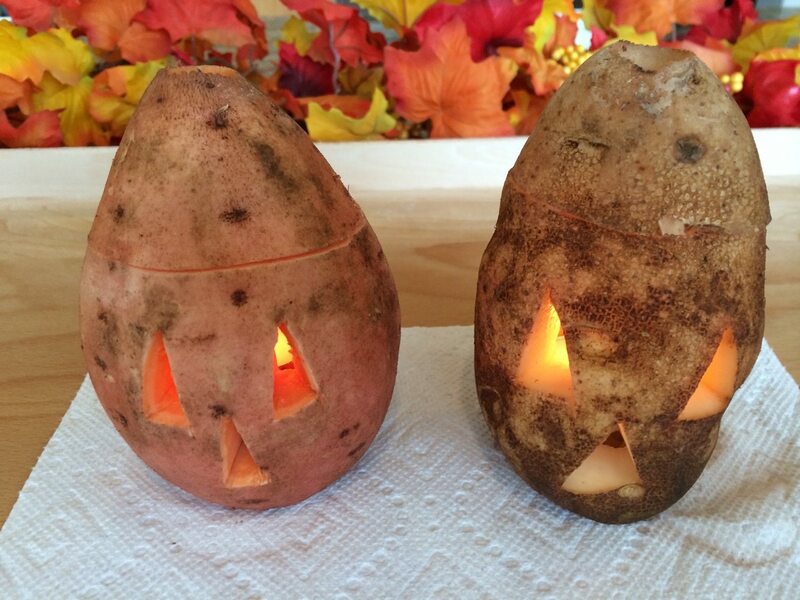 Thanksgiving decoration ideas. Simple but beautiful. 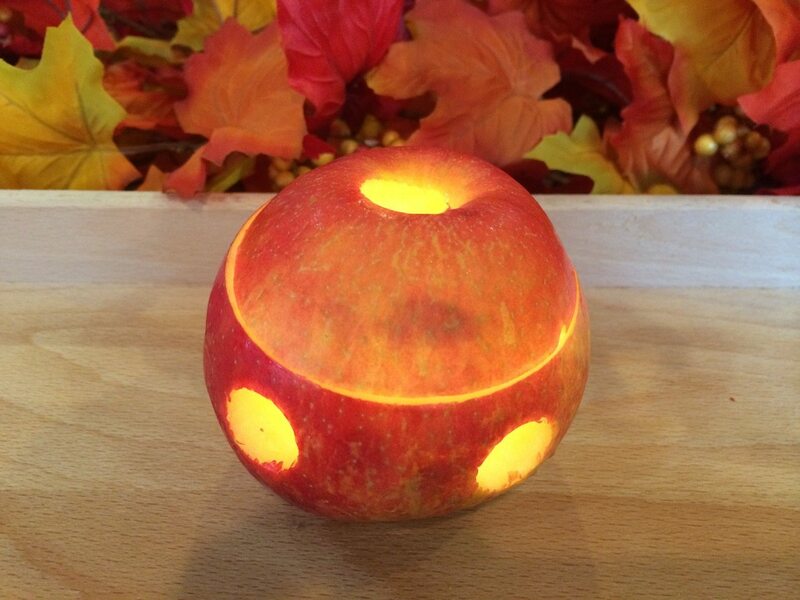 Carved potatoes and apples with tea light candles inside. Click for instructions. At Oma’s, you always save room for dessert. Wine is fine. Cider is finer. 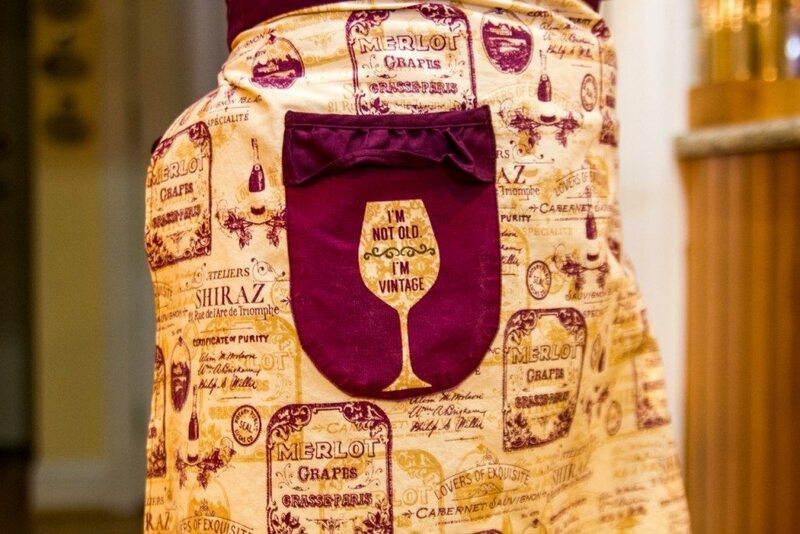 I love wine. Especially the reds. However, if you want to mix things up for Thanksgiving, why not offer hard apple cider instead of the traditional white wines that usually accompany poultry. Here are three of my favorites: Woodchuck, Johnny Appleseed, and Cidre by Stella Artois. Most are available locally. Serve cold and enjoy! BONUS: Click for Oma’s favorite white wines and martzen-style beers for fall and winter. A Fun Thanksgiving Activity: Create a Matchbox Advent Calendar. With advent starting on Sunday, November 29th this year (and ending on Thursday, December 24th), Thanksgiving is the perfect time to keep the kids (and some adults) busy with a project they’ll love to hang on the wall. 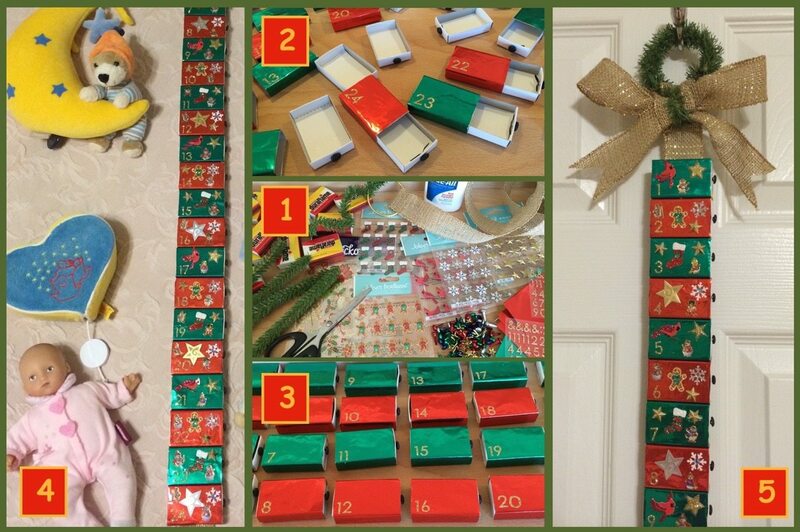 This advent calendar, made from empty matchboxes, is great countdown to Christmas. Click here for instructions.